Polished, unique, & entertaining,....Barbara Martin & her musicians perform nationally & internationally for Festivals, Weddings, Corporate Events, Universities, & Night Clubs. They have performed for venues such as the Kennedy Center, Herndon Jazz Festival and Low Country Blues Bash. The band's size and instrumentation can be modified to perfectly match your entertainment needs, making Barbara Martin and her musicians the ideal band for any event. A good choice for small, intimate events is the Barbara Martin and Vince Lewis duo--vocal and guitar. Barbara Martin is an accomplished vocal interpreter of the great jazz and blues standards yet brave enough to stretch the boundaries of the female jazz and blues singer stereotype. She's witty. Intelligent. Sultry. Down-to-earth. Insightful. Ironic. Polished. Slice-of-life. Sensitive. Provocative. She writes award-winning songs. She plays guitar. 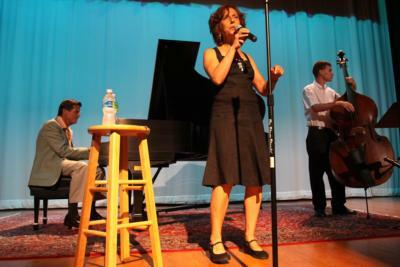 She collaborates with other acclaimed artists to produce engaging live shows and music education programs. She's as comfortable in a New York cabaret show or a major venue like The Kennedy Center as she is in an intimate house concert or a bohemian cafe. 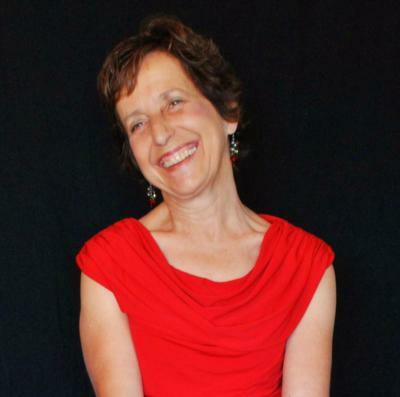 The Washington Post calls Barbara Martin's music "… as American in style as it is universal in emotional intelligence." "Listening to Barbara Martin's sultry sound makes me want to lean back in a room with low lights and sip a martini," said one arts aficionado after a concert, and Barbara's records and performances have impressed critics and fans alike. Named one of ten worthy jazz singers by Jazziz Magazine and garnering a Parent's Choice Silver Honor Award for her children's recording From Ragtime to Rock and Roll, Barbara has recorded and produced eight albums, the latest, Eyes on the Horizon was released in August, 2010. Please note Barbara Martin will also travel to Walkersville, Braddock Heights, New Market, Middletown, Woodsboro, Buckeystown, Libertytown, New Midway, Ijamsville, Jefferson, Keymar, Myersville, Rocky Ridge, Thurmont, Adamstown, Dulles Airport, Monrovia, Unionville, Ladiesburg, Union Bridge, Burkittsville, Detour, Mount Airy, Boonsboro, Clarksburg, Point Of Rocks, Rohrersville, Tuscarora, Brownsville, Brunswick.